The most difficult hair shape is at the very begining of the eyebrow.These hairs are around shaped and in order to mimic natural shape…we use ECCENTRIC blade handle with addition of special adjustable silicon resting pad. When fitted into this handle,blade is bended additionally making drawing casier. 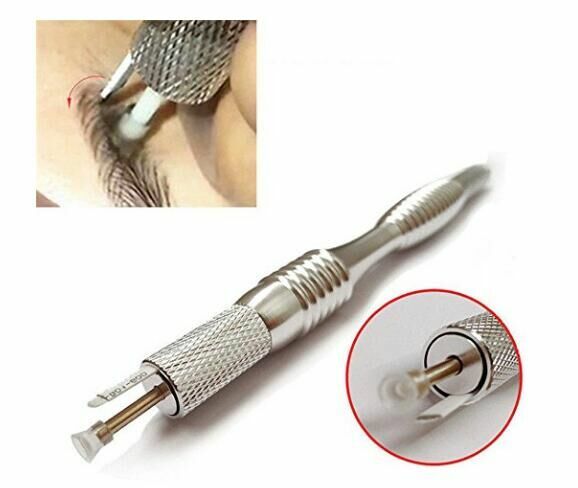 By twisting handle screw adjust resting point shaft lenght as needed,to increase or decrease pressure applied on skin. Drawing curved shape hairs is very precise and even.